With the unemployment rate recently edging below 6 percent, the job market is starting to look healthier than it has been since before the Great Recession. While that market does not yet favor employees the way it did during the 1990s, it has recovered enough to justify a more ambitious focus. People who had to scuffle to find a job can now start thinking about their next career move. How you handle your career is one of the most important financial tasks you will ever tackle. 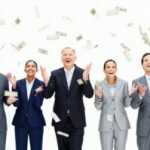 Think of it this way: Your career is an income-generating asset, and unless you become very wealthy, it is probably the biggest income-generator you will ever have. Beyond that, though, it is how you spend most of your waking hours, so handling your career correctly has a huge impact on your happiness as well. Mention a climb up the career ladder to most people, and their first thought is moving into the job of their immediate supervisor. This might be the most obvious move, but it is often not the best. Besides looking at how to move up, you should consider whether it may make more sense to move out or sideways instead — out to another organization, or sideways to a different type of role that might eventually lead you in a more productive direction. Visualize your long-term goal. Each step leads in a direction, so before you plot any short-term move, think about where you want to be in the end. Otherwise, your career can become a series of short-term steps that don’t lead where you want to go. Identify the right fit. Now shift your focus to your next move. 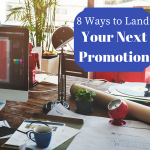 After all, you aren’t going to go from entry-level to a corner office in one promotion. Look at the organization and identify a position that is both a step in the right direction and a good fit for your current skill set and experience. Assess your peer group performance. Basically, look at the staff the way your employer would. Is there any reason you stand out as the next to be promoted, or are other people out-performing you? Don’t neglect your current job while dreaming about your next one. Consider the company’s growth. Look outside yourself to the company as a whole. Is it dynamic and fast-growing, or is it stale and losing market share or stuck in a shrinking market? Growing companies create opportunities; stagnant ones generate layoffs. Look at outside opportunities. If your company does not look like it is going to create the right kind of opportunities, scan the job market for alternatives. Even if you don’t make a move, this will give you a stronger sense of how your current situation stacks up within the broader employment market. Target appropriate skills. The move you want to make may take skills you don’t yet have — perhaps an additional degree, or a specific type of training or experience. Just because you’ve been out of school for a few years, don’t consider yourself a finished product. In a changing job market, updating your skills is not only necessary for advancement at times, but it can also be the key to job security in your current position. Make your interest known. Don’t just throw your hat in the ring when an opportunity arises. Make it known that you are taking the long view of your future in the company. Politely but assertively letting it be known that you are interested in advancement will help management view you as a natural candidate when openings do arise, and might help you get some coaching on what you need to do to get those promotions. Be open to feedback. Speaking of coaching, this only helps if you are coachable. You might not like criticism, but it is the only way to understand how to improve. Know your financial worth. Don’t just demand raises because you think you are due. Make an analytical assessment of what your performance has been worth to the company financially, and what it would command on the open market. You are most likely to optimize your salary if you know enough not to sell yourself short — or overreach. Be comfortable at your own ceiling. Decades ago, something called “the Peter Principle” posited that people keep rising until they reach the level of their incompetence. From an employee’s perspective, people often rise to the level of their misery. If you find a comfortable niche, value it. Don’t feel compelled to keep climbing just because the next step is there. The key about taking this approach is not to judge yourself by another person’s path or pace. Think about what suits you, and that can help forge a career that is uniquely your own. Money vs. Happiness: Which Would You Choose?